THESE mums are so determined to support children being raised in remote Australia, they are willing to ride 1020km through the desert. 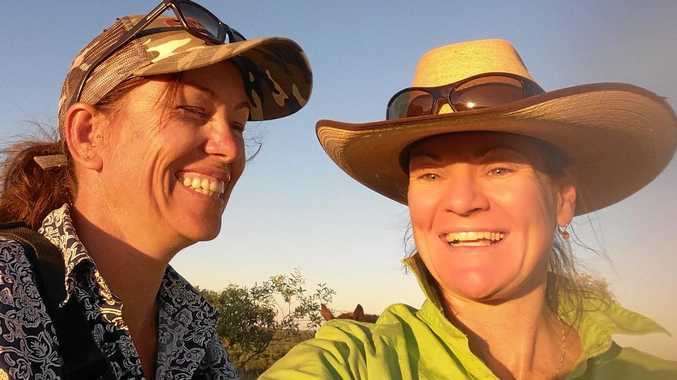 Starting at Suplejack Downs Station, a vast cattle property with its closest major centre 730km away in Alice Springs, Tiani Cook and Natuccia Walker will travel by horseback all the way to Darwin. Their goal is to raise money for the Isolated Children's Parents' Association, but they hope the stunt will give them a broader platform to talk about the issues country kids face in getting an education. Riding a horse and leading another, they will start the trek on June 17 and finish at Freds Pass Reserve in Darwin on July 18. Suplejack is Tiani's home and she is the president of the Northern Territory branch of the ICPA. "There is an inequity for children learning remotely,” she said. A lack of quality communication services, which can sometimes make distance education lessons impossible, and poor roads that families have to travel thousands of kilometres on so their children can meet with their peers are two issues hot on her agenda. 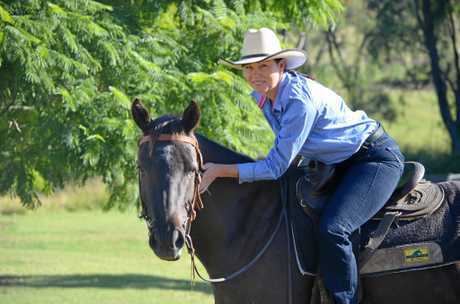 This week the Rural Weekly caught up with both women to find out what made a Northern Territory grazier and Toowoomba dental nurse passionate enough to saddle up for a 32-day-long ride. Tiani knows firsthand the difficulties children living on isolated properties face with their education, as she is halfway through finishing schooling her four kids, Talia, 20, Jesse, 18, Shannai, 16, and Kiralee, 14. The family recently had a scare that brought the outback's lack of services into clear light. This time last year her youngest daughter, Kiralee, had a fall from her horse and broke her shoulder. "She was riding her old school-master horse, so it was basically a freak accident. It's not like she was out doing anything risky,” Tiani said. "So this was before the NBN was hooked up and we were on the interim satellite. We had the lowest amount of data that I have ever heard of anyone having. "It was also during a time when our phone lines had been down for about a month, it was 33 days where we had no phone I think. Using what data the family had left, Tiani was able to get in touch with her sister Loretta, who lives in Alice Springs, through a Facebook message to call for help. However, a storm had come over the property so the Flying Doctors were unable to land. After a fairly good wet season in Tiani's part of the world, roads can take days to become usable again as there is a risk of getting bogged, some parts of the road wash away, and the small creeks are prone to flooding. This meant poor Kiralee waited an agonising four days before seeing a doctor. "I drove her to town myself,” Tiani said. "We went straight into emergency ... when she went into x-ray they almost went into panic stations because the top of her humerus, that ball joint that goes into your shoulder, she had actually snapped that off. Right now the Suplejack mustering season is under way, which is good news for Tiani's horses Tin Tin, Bloany, Dually and Eggnever, who are already improving their fitness before the long trek. Meanwhile in Queensland Natuccia's four-year-old gelding Azzy is getting regular rides too, even though he won't be taken on the journey in the Territory. Natuccia, who is the kind of woman who does not like to sit still for too long, has been riding about four times a week and doing short 5km runs so she is in top shape for the trip. "You need a certain amount of fitness to ride that far each day,” she said. 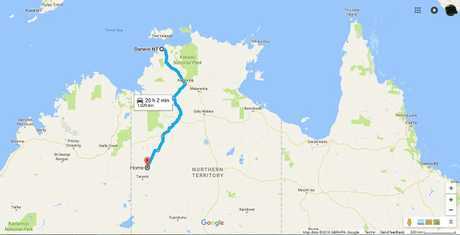 Natuccia will fly herself to Darwin on June 12, then drive to Suplejack before starting the actual journey. 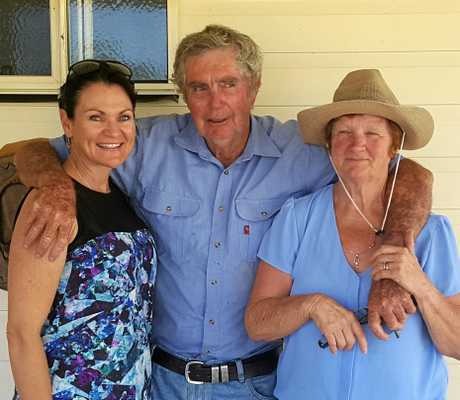 While she is not a mum living on a remote station - in fact her daughter only has to cross the road from their Toowoomba home to reach school - she still cares deeply about families making a living off the land. "I know the stories of families living remotely who have had to sacrifice a lot for their children's education,” she said. "Family is very important to me, and keeping families together is something I am very passionate about. As both women are experienced riders, their horses' health will be their top priority. Rod and Norma Litfon, friends of Tiani's, will be driving the pair's support truck. 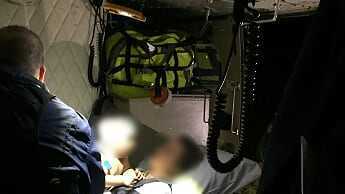 "They will be our support crew and our lifesavers,” Tiani said. "So they will carry the hay and feed for the horses. "Each day we will wake up, pack a lunch and ride through to the next camp site and the support crew will be there waiting for us. The women are encouraging other participants to join them for some legs of the ride, but for most of their long days in the saddle they will only have each other's company. The friends first met when they were both growing up in Clermont through primary school and pony club. They had drifted apart over the years but social media allowed them to catch up, and last year Natuccia travelled to Suplejack to visit, and then the audacious plan was hatched out. The biggest challenge so far was organising sponsorship and finetuning the logistics of the journey - special permits are needed to cross over some roads on their way to Darwin. "Most of the way we won't be riding on the shoulders of the road, we will be on the median strip,” Tiani said. I asked both women if they were feeling daunted or excited, and their answer was "both”. "I am definitely looking forward to the riding part,” Tiani said. "It's exciting because it's such a good cause,” Natuccia said. For more information, or to sign up to ride a leg of the trip, visit www.horsesforcourses.net.au. Orange Creek Growers, which will provide the horses with prime lucerne for the duration of the ride. Top Springs Roadhouse, which will provide meals and a well-earned bed, and a "Mid-way Shindig Barbecue” that will help raise funds when the women arrive. Northern Territory School of Distance Education, which has come on board as a Silver Sponsor. Barkley Transport and Ian McBean, who have been incredible advocates of the ride.